Endodontics is the term used for the dental procedure called root canal therapy. Root canal is necessary when the nerve or blood supply of the tooth is infected due to injury or decay. Root canal treatment involves removal of the diseased pulp (nerve), followed by the cleaning and sealing of the pulp chamber and is finished with a restoration, usually a dental crown. Root canal therapy is NOT painful when properly performed in a tooth that has not yet reached the point of becoming a dental emergency. Do not make the mistake of waiting until you have severe pain before seeking advice about root canal therapy. 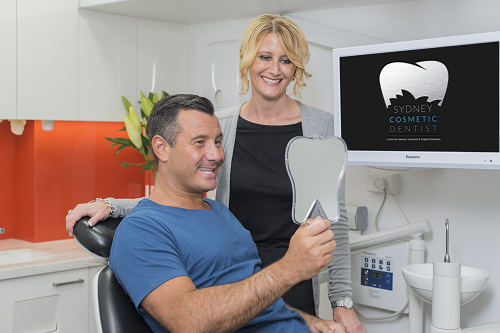 If you think a tooth has symptoms that could signify a need for root canal therapy, contact Dr Peter Poulos for advice. What Are the Symptoms That I Might Need a Root Canal Treatment? Appearance of a pimple onthe gum. If you have toothache, please don’t delay as the sooner you receive treatment, the better the chance of saving the tooth.